I got this email last night and thought you’d all (or at least everyone who doesn’t live in New York) would enjoy it: A man in Topeka, Kansas decided to write a book about Churches around the country. He started by flying to San Francisco and started working east from there. Going to a very large church, he began taking photographs and making notes. He spotted a golden telephone on the vestibule wall and was intrigued with a sign, which read 'Calls: $10,000 a minute. Seeking out the pastor he asked about the phone and the sign. The pastor answered that this golden phone is, in fact, a direct line to heaven and if he pays the price he can talk directly to God. The man thanked the pastor and continued on his way. As he continued To visit churches in Seattle, Dallas, St. Louis, Chicago, Milwaukee, and around the United States, he found more phones, with the same sign, and the same answer from each pastor. Finally, he arrived in Massachusetts. Upon entering a church in Boston, MA... Behold - he saw the usual golden telephone. But THIS time, the sign read "Calls: .35 cents." Fascinated, he asked to talk to the pastor, "Reverend, I have been in cities all across the country and in each church I have found this golden telephone and have been told it is a direct line to Heaven and that I could talk to God, but in the other churches the cost was $10,000 a minute. Your sign reads only .35 cents a call. Why? Why?" The pastor, smiling benignly, replied : "Son, you're in Boston, Massachusetts now, home of the Boston Red Sox, the Patriots, Celtics, Bruins and Boston College! " You're in God's Country, It's a local call. 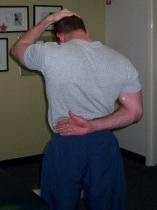 For those of you with testy shoulders, give this levator scapulae stretch a try: To stretch the right levator scapulae, put your right hand behind your back as if you’re getting handcuffed, then look down toward your left foot while pulling your head in that same direction with the left hand. You’ll feel a stretch along the right side of the back of your neck. I’ve seen a lot of people who get some immediate short-term relief simply from stretching out the levator scapulae. Regardless of the shoulder problem, scapular upward rotation is almost always limited or occurs with the wrong muscle firing patterns. The serratus anterior, lower traps, and upper traps work together to upwardly rotate the scapula, and when they’re weak and combined with tightness in the downward rotators, we get into trouble. What are the downward rotators? Pec minor, rhomboids, and, you guessed it, levator scapulae. The only problem is that it’s tough to stretch out rhomboids and pec minor on your own; they actually respond better to soft tissue work. You can get right on levator scapulae, though. Give it a shot (15s/side) and see for yourself. Of course, an adequate corrective exercise program is going to address a host of other factors such as thoracic mobility and scapular stability. Click here to purchase the most comprehensive shoulder resource available today: Optimal Shoulder Performance - From Rehabilitation to High Performance. On an average day, I get between 75 and 100 emails - probably 1/3 of which are random inquiries about training, nutrition, supplementation, corrective exercise - you name it. Let's assume that each email takes three minutes to read and answer. That's 75 minutes per day answering random emails - doable, although it goes without saying that I'll perpetually be behind given the other competing demands in my life. I'm all for helping people out, and I do my best to get to everything. However, I thought this might be a good avenue to note that shorter inquiries that can be answered quickly are always going to be handled more promptly than, well, something like this. 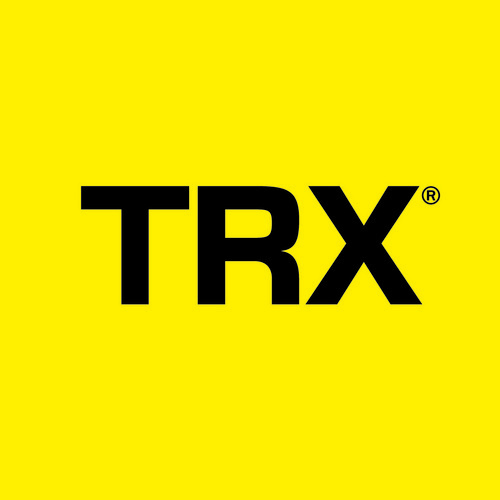 "I have done some reading on the articles that you have wrote up on t-nation. It seems like you very knowledgeable, and know what you are talking about. What I was contacting you about is that I am having some problems, and pains that I was wanting to ask you, and I was really wanting know if you could maybe help me out, as this has been really bothering me. "The main thing that I am training for is American Football. I actually haven't been on the field, and played for about 4 years now I think, maybe longer. I really want to get back on the field, and start playing though. I was training so I can go ahead, and maybe start playing at the collage level. The thing about it, is that I have develop some problems, and pains that have kept me from training like I want to. Actually it has kept me from not training at all. "The first problem I am having is a constant pain in the left side of my upper back. I would say this pain has been there for about a year, and a half now, maybe longer. It feels like it is right under the scapula. Now this injury I believe came when I was doing power cleans. I was doing them in my basement. While doing them it felt like I was catching the weight wrong when I brought the bar to my shoulders. It felt like I was bending, and catching the bar more on my left side then right side. While doing those I felt a little bit of pain in my back. "So I stopped doing them. Next time I was training, I started to do power cleans again, but this time I was just trying to work on form. Then (don't know what I was thinking) added some weight to the bar. The lift was kind of heavy, but this time when I power cleaned it, and I brought the weight to my shoulders again. I felt like I was leaning to the left again to catch the bar, and this time I felt a really sharp pain in my back that time. So I stopped the lift, and didn't do them for awhile, as I was trying to let whatever I had done heal itself. Well it has been over a year, and it hasn't healed yet. The pain is basically constant, and I even wake up with the pain in my upper back. Now that I haven't been training at all (I will let you know really why I haven't been training with the other problem I am having) I have been on my computer allot. My monitor doesn't have an adjustment to it, and I notice I slouch over allot when I am on my computer. Now with the pain I am having in my back, I now think I might have some postural problems from slouching over on the computer allot. I have also devolved this popping sound around the area where my pain is at now sometimes when I take a deep breath. The left side of my back feels really stiff also. "Now the main problem I have been having that has kept me from training is this lower leg problem I have been having with my right leg. How this happened was when I was stretching to get ready to squat. I was squatting down (couldn't keep my heals on the ground when squatting), and I was up on the balls of my feet. I would try, and bend as far back as I could, and try, and get my heels to touch the ground. Then I would put a barbell to try, and add an extra stretch. Well this time while I was up on the balls of my feet, with the barbell on my quads. I was stretching but I really wasn't trying to sit back. I tried to just put pressure on the ankles as I thought that was the reason why I couldn't get my heels to stay on the ground. While doing this, I started to feel this weird sensation comming from the outside of my lower leg. So I got up, and checked around the area, and noticed that I had a little lump there. To tell you the truth I really didn't think much of it, and just stopped doing it, and just went on to squatting. Now the next time I went to squatting, I did the same thing. This time while doing it. I started to feel that same sensation again, but this time I heard a slight pop. So I got up to check the area again, and now there was a bigger lump there. I could really notice where it was at. The lump starts from a little bit above the ankle on the side of the leg, and continues down into the ankle. This time I stopped all the training. "I didn't train for about 2 weeks, to try, and let it heal. I noticed that it wasn't healing up though, and that I felt like I was walking on the side of my foot now. So when I tried squatting again, I felt like I was squatting on the side of my foot, and my ankle felt really tight. I then started to develop some knee pain. Now with the squatting on the side of my foot, and the knee pain, I had to stop squatting. At the time my training was basically allot of squatting (Doing the Olympic lifts) so I had to stop training for awhile. "Now this went on for about 6 months, or so, and it just stayed the same. So I finally got in contact with a sports ankle, and specialist. He told me that I have a hernia in my lower leg, and that is what was causing the knee pain. I asked about the lump, and he said that it had nothing to do with the pain I am having. So I went ahead, and had the surgery done. Took about 3 months for recovery. After the recovery I still noticed that I felt like I am still walking on the side of my foot, and my ankle still feels tight. The lump is still there also. So I tried squatting again, and I am feeling the same thing. I am not feeling the knee pain anymore, but I am still squatting on the side of my foot. If I try, and squat with my foot evenly, the side where the lump is feels like it is pushing my ankle inward, and it forces my knee, and hips to go inward instead of outward, and my hip feels tight if I do it that way also. If I squat down on the side of my foot it then it feels like my knees, and hips or going outward like they should be, and no tightness in my hip, but then I feel off balance. I can't go back to the foot, and ankle specialist, because I still have to make some payments to them. So I really can't do much right now, but see if you can do anything for me. I also don't want to go through anymore surgeries. "So as you can see I have a pain in left upper back, and a problem with the right lower leg. Also, forgot to say that I know feel like I am leaning more to left side then my right side now. Didn't mean to write so much, it's just that this is really bothering me, and keeping me from doing what I want to do. I haven't trained in about a year, or so because of this, and I really want to get back to training. So I am just asking you, if you could maybe help me out, and let me know what I can do? If you need anymore information let me know. Thanks." If you made it all the way through this one, I'm impressed - because I couldn't! If your shoulder hurts, please just tell me so in a matter of 4-5 sentences. I don't need to know your favorite color, the reason your mother didn't love you, or how you have a weird rash. Q: A PT recommended me to do foam rolling on the IT band for the clicking sound on my knee. I've been rolling for quite some time but the clicking hasn't gone yet. I read your article on the subject at T-Nation and figured you’d be a good person to ask. Anyway, I have a question. A trainer on an online forum advised against rolling on painful areas. Instead, we should just put pressure on that area for 30 secs. Rolling would just make the tissues tighter. Is this true? A: As always, the answer is: it depends. Pain tolerance is an individual thing. If you just have some minor discomfort – not a shooting pain or something that would lead you to believe that there are other issues at hand, it’s fine to work through it. If, however, the pain is so intense that you find yourself guarding, then you’re likely working against yourself. The problem is that foam rolling alone won't fix the issues entirely; it just works on tissue quality (treating the symptoms). You likely need to look at ankle and hip mobility, glute activation, and soft tissue quality at several other joints. Footwear can be an issue, and the same can be said of activities of daily living and the rest of your training program. Mike Robertson’s Bulletproof Knees Manual would be an excellent resource for you to pick up for more information.